The new Pro Evolution Soccer 2015 Live Update (February 26) was made available for download this morning following the scheduled maintenance. No less than 173 players are transfered when applying today's update. Following last week's hiatus, Konami continued adding previously missing winter transfers, including the moves of Seydou Doumbia (CSKA Moscow > AS Roma) and Dani Osvaldo (Inter > Boca Juniors). 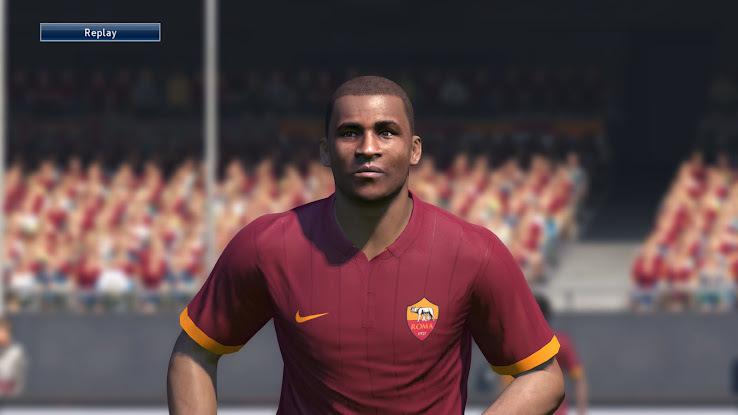 Additionally, 78 new players were added to PES 2015, amongst them Nenê (West Ham), Emile Heskey (Bolton Wanderers) and Christian Poulsen (FC Copenhagen). Today's PES 2015 Live Update boosts 436 players while 43 players received downgrades. A number of Manchester City starters received boosts following the 5-0 win over Newcastle United: David Silva (+5 to 92), Yaya Touré (+4 to 94) or Samir Nasri (+4 to 87). 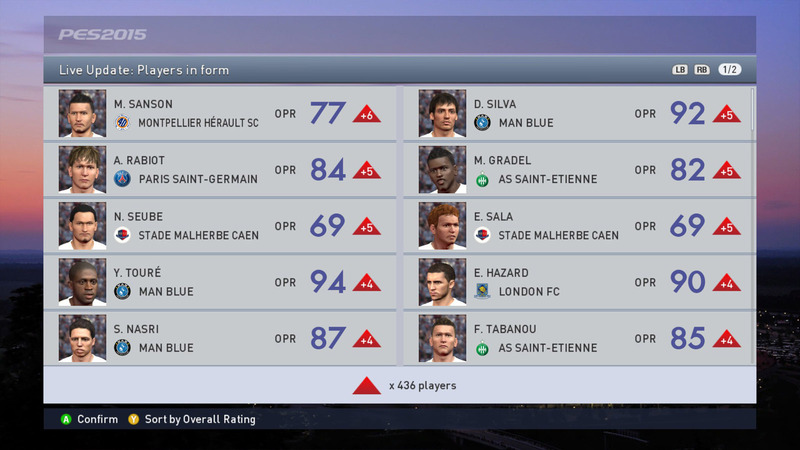 Chelsea's Eden Hazard was also upped to 90 with a +4 change, while Thiago Silva and Geoffrey Kondogbia both got upgraded by 3 overall points, to 92 and 86, respectively.